Regardless of the size of your business – small, mid-size or enterprise – Autodesk offers the flexibility to choose the subscription options that best fit your business needs. Whether you need AutoCAD for a month or a year, we’ve got the flexibility to suit you. Scale up or down the number of seats you need to suit your project. Use your software in more places – at home, in the office, or on the road. You can download and use previous releases of most Autodesk software. Using pirated software, even unknowingly, can cause system failure, endanger your personal data, and negatively affect your business productivity. Get genuine AutoCAD through our store. If you know of an organisation using pirated or counterfeit Autodesk software you can report this anonymously by clicking here. If you would like to check how many genuine Autodesk licences are registered to your organisation, click here. Dan’s working late to meet a deadline. 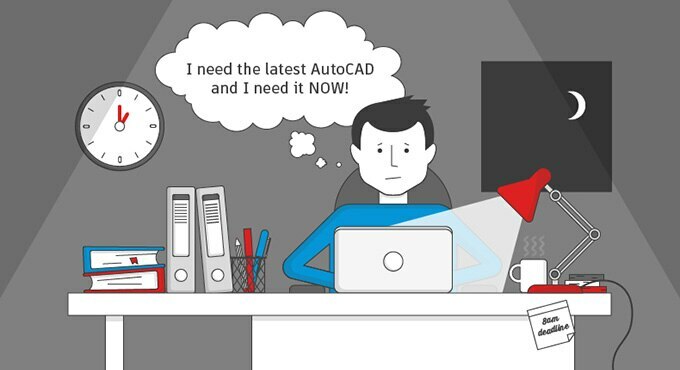 He needs the latest version of AutoCAD, and he needs it NOW. Luckily for Dan, the Autodesk eStore is open 24 hours a day. And because he’s subscribed to genuine AutoCAD, Dan can update his software instantly and finish his project on time. Sarah’s managing a team of temporary contractors. 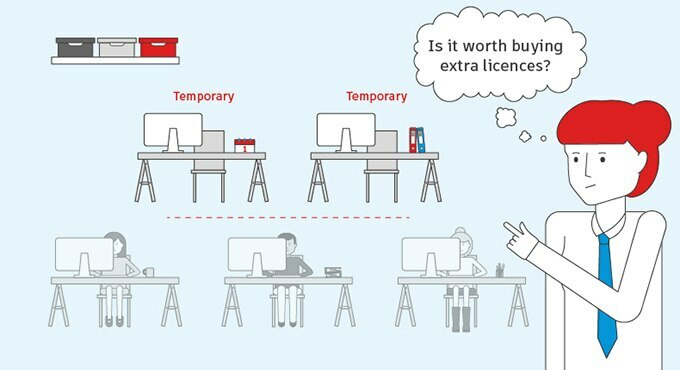 Is it worth buying extra licences for temporary staff? Because Sarah can subscribe to genuine AutoCAD for as little as one month, she can buy extra subscriptions for her team and then scale back once the project’s over. Sunita wants to subscribe to AutoCAD for some new client work. But is it worth trying it out on a short-term project? 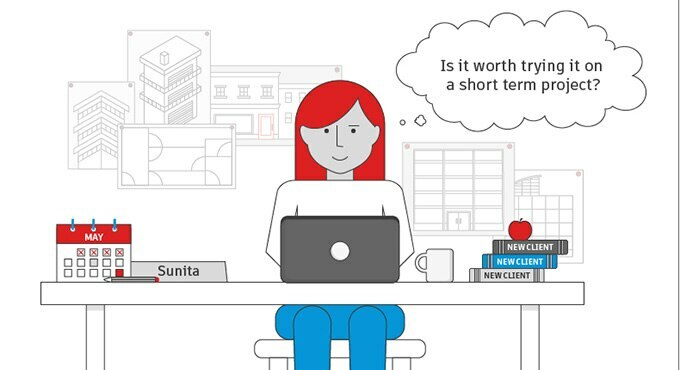 You only pay for genuine AutoCAD when you need it – so Sunita can subscribe for just one month. It’ll be easier to manage her budget and, with all the latest features, she’s sure to impress her client. Mark doesn’t have Wi-Fi or VPN access when he’s on site, so he can’t use his network licence. With a subscription to genuine AutoCAD, Mark gets the AutoCAD mobile app included. 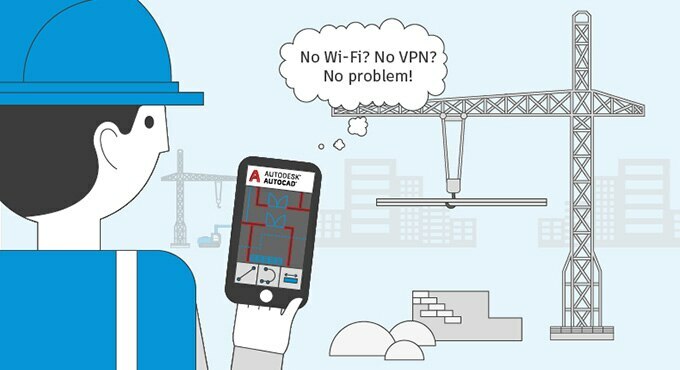 Powerful and easy-to-use, Mark can create, edit and share AutoCAD files on his mobile or tablet – wherever he is.